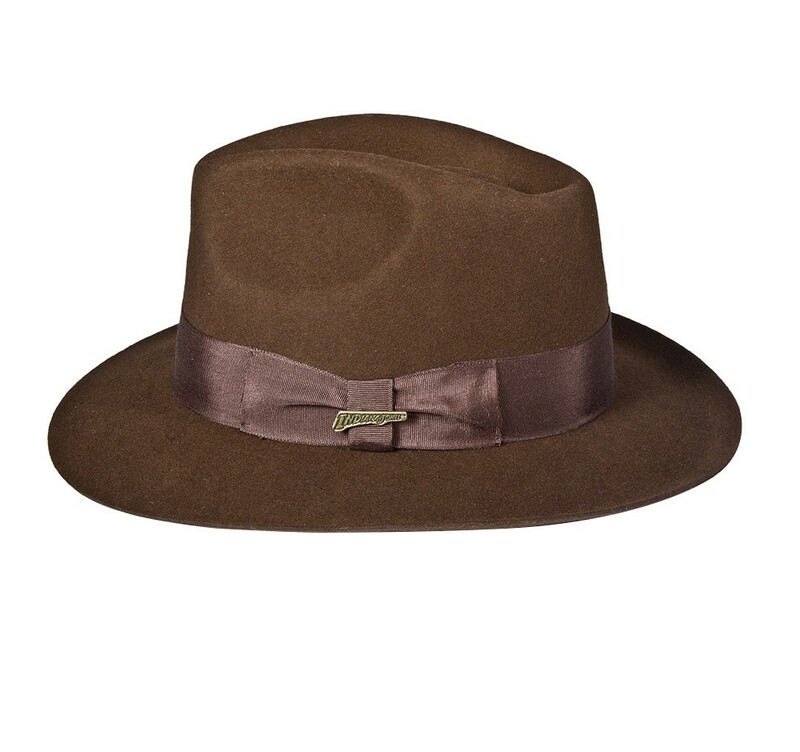 This is the Officially Licensed Wool Felt Indiana Jones Hat as seen in the movies! This hat will definitely make you feel like you're the last crusader himself. Made from a stiffer wool felt great for evading Nazis. 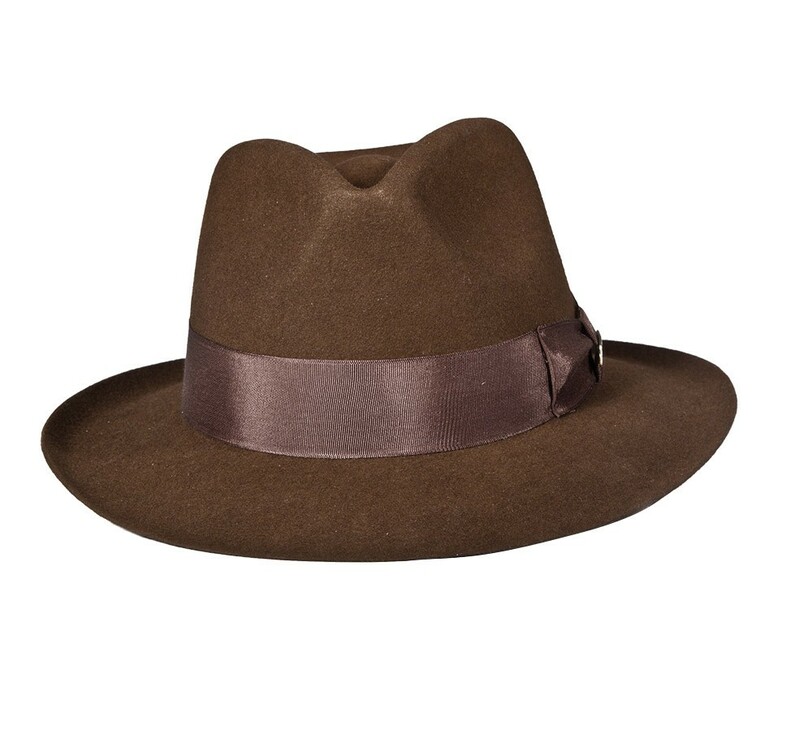 Great for anyone who is adventurous as Indiana Jones! Brown Only. 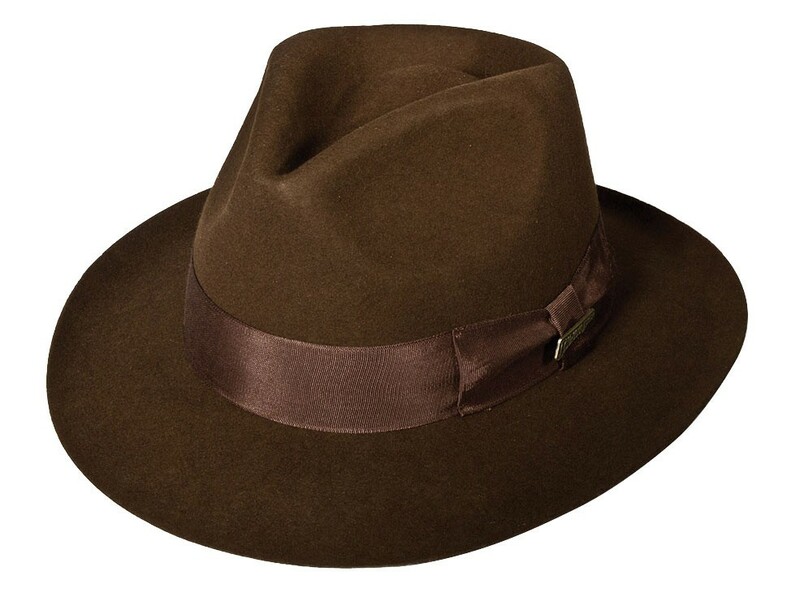 Click here for the Black Official Indiana Jones hat. After I bought the hat I watched the movies while looking at the pictures and realized that in the pictures the hat is really really dark and the trim looks pinkish. So I expected a terrible reproduction. But when I received the hat in the mail it looks a lot lighter and the trim is obviously brown the hat's really stiff and I don't know if that's normal, but it still looks great and feels awesome! I´m writing to tell you that I received my hat and I´m very pleased with your attention and the celerity that my order was delivered. The hat is amazing! This hat is worth more than its price! 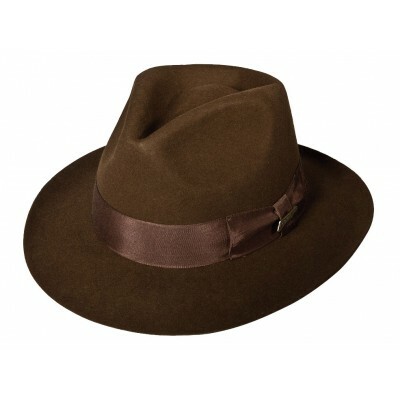 Excellent and beautiful hat, fits great and after a bit you can hardly remember you are wearing anything. It wears great with casual and formal outfits. This is a great hat. I purchased one and am ordering another. 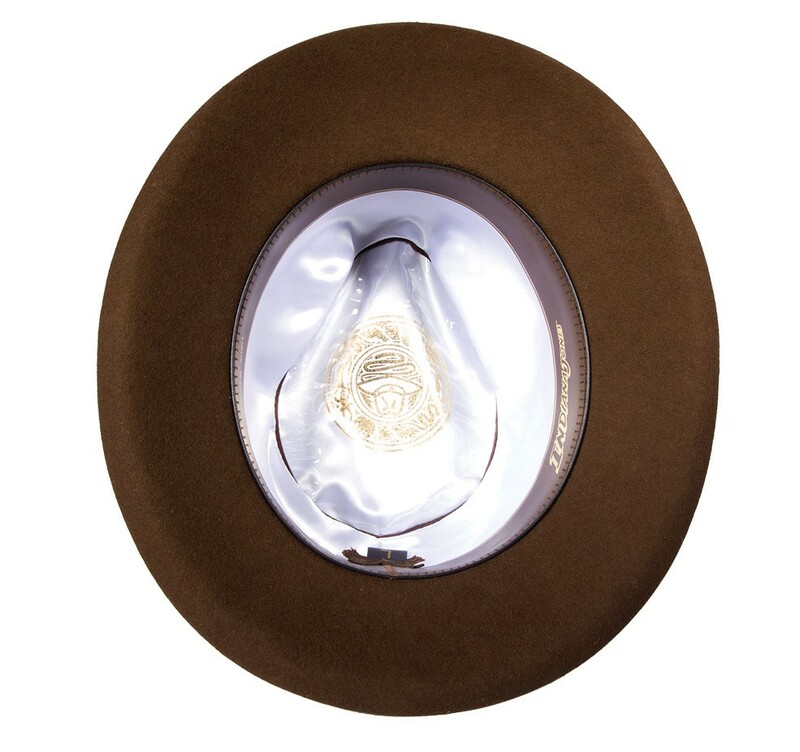 The hat is very well made the brim and body are nice and stiff. The crown measures 4 1/4 ins. in height at the front The satin lining is as good as a hat costing three times more then this. The sweat band is also excellent I can not tell if it is real leather or simulated leather. If you want a great hat that you will love buy this hat !!! You will be happy you did. The servise and delivery time is also excellent aswell. I had mine shipped regular ground shipment and it arrived in just a few days. I had an old old cheapo Fedora. This one looks just like it, but it WAY better. Very nice affordable hat. I added a feather to give it a little splash.